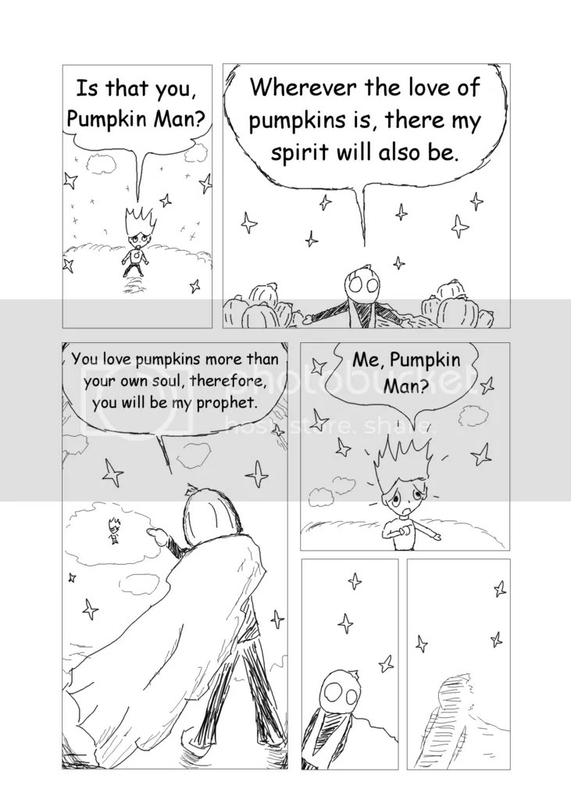 Here’s the next page of Pumpkin Man. 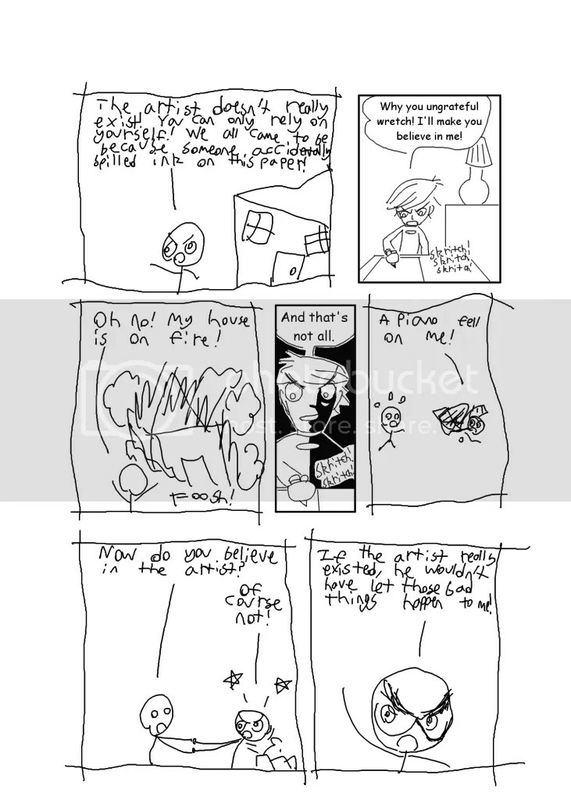 You can read the story thus far here, or by clicking on the image. This page is ahead of schedule, which is good. This page was obviously a lot easier to do. I hope you’re enjoying the story so far. The next page is coming soon. 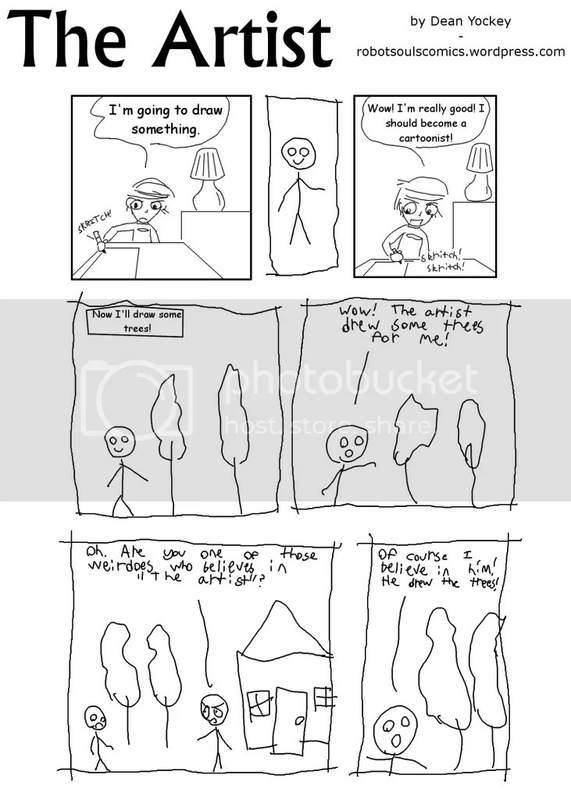 This entry was posted in Comic Update, Pumpkin Man and tagged art, comics, drawing, dreams, food, super hero, surreal, two worlds on March 19, 2015 by Dean Yockey. Hello. I know I’m supposed to be posting another page of Shadow Wide, but I’ve been too busy this week to finish page 11. So here I am posting this illustration, just because I feel the need to post something. I’m not sure if it can really be called an “illustration,” though, it’s more of just a giant doodle. I drew it back on the 24th of February with a ball point pen on printer paper, and I decided to save it for a time like this when I couldn’t finish a page on time. So there you have it. Please note that this drawing has absolutely no intended meaning. 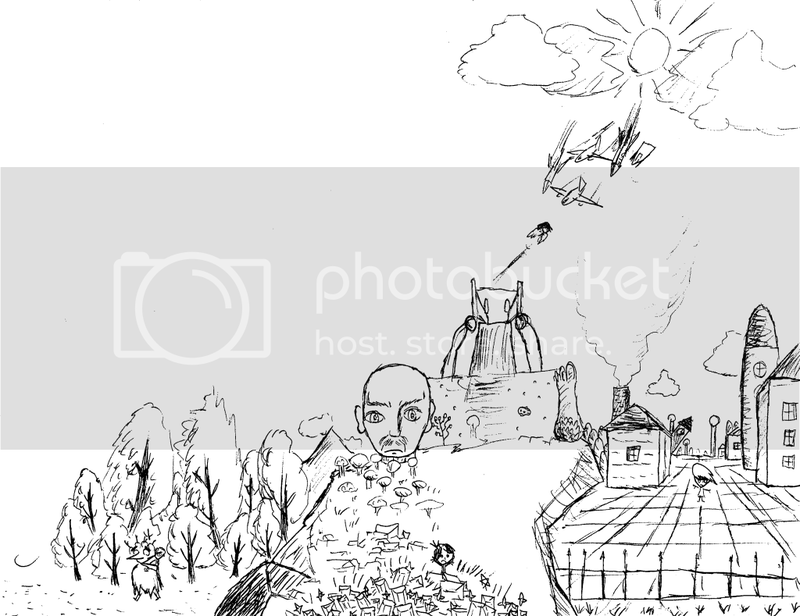 This entry was posted in Illustration and tagged art, drawing, fantasy, food, robots, super hero, two worlds on February 15, 2015 by Dean Yockey. Again, I’m posting another illustration about the SAT test. My teacher didn’t like the past three illustrations because they weren’t uplifting enough. 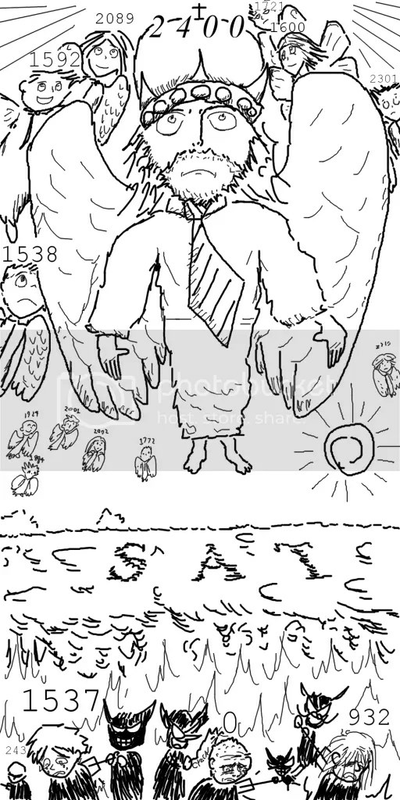 So here, I have the students who succeeded at the test ascending into Heaven (the central figure with the crown received a perfect score of 2400). The students who failed to reach the average score of 1538 are burning in hell and being tortured by demons. One of the students received a score of zero. It’s not really possible to receive a zero, I think, but I gave him a zero anyway. I realize that the composition isn’t that good (my brother said the figure with the zero should be centralized), but I am kind of in a rush. I think the allegorical meaning is pretty clear. I’m about halfway done with the next page of Shadow Wide. I haven’t had much time to work lately. This entry was posted in Illustration and tagged art, drawing, sat, sat test, two worlds on November 9, 2014 by Dean Yockey.